NEW YORK, March 24, 2016 – I strongly condemn the brutal terrorist attacks at the Brussels International Airport and Metro station on March 22 that resulted in the deaths of more than 30 people and the injuries of hundreds. Regardless of the perpetrators and their stated purposes, every terrorist attack is a murder and an attack on the sanctity of life itself, and deserves condemnation in the strongest terms. Neither a religion nor any human being with a conscience can condone such cruelty. Those who carry out such attacks and who support the perpetrators are oblivious to the ethos of the religion that they proclaim, and inflict the biggest damage to the religion’s reputation in the world. Those who consciously perpetrate such acts have lost touch with their very humanity, and do not represent any religious identity. In addition to the intelligence and security measures taken to prevent individual terrorist attacks, there is a pressing need for cooperation between states and civil society groups to eliminate swamp-like environments and conditions that facilitate recruitment by terrorist groups. I am confident that leaders in countries with strong democratic and legal foundations, like Belgium, will act with prudence to develop lasting solutions that incorporate their Muslim citizens and avoid feeding into the hateful rhetoric of terrorist groups. These heinous terrorist attacks have been inflicted not only on the Belgian people but also on the solidarity of humanity and universal human values. I send my deepest condolences to the relatives and loved ones of those who lost their lives, and the people of Belgium. I pray for the fast recovery of the wounded. On this occasion I also send my condolences and prayers to the citizens of all countries, including my home land of Turkey, who lost their loved ones in recent terrorist attacks. I pray to God, the Most Graceful, the Compassionate, to save humanity from the scourge of terrorism and spread an atmosphere around the world where people empathically embrace each other. Fethullah Gulen is an Islamic scholar, preacher and social advocate, whose decades‐long commitment to interfaith tolerance and altruism has inspired millions in Turkey and around the world. 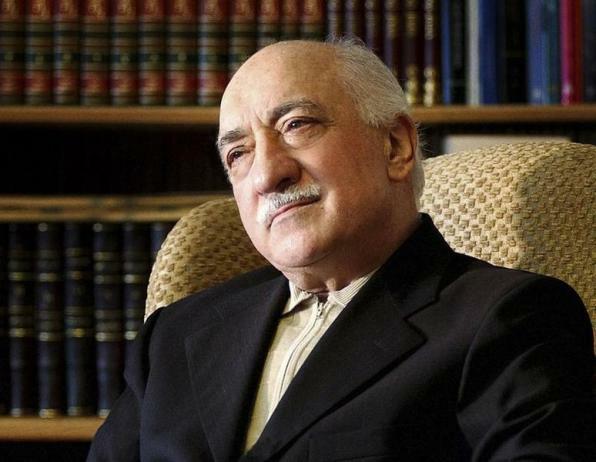 Gulen is the honorary chairman of the Intercultural Dialogue Platform, Brussels, Belgium; Foundation of Journalists and Writers, Istanbul, Turkey; and Rumi Forum, Washington DC. Alliance for Shared Values is a non-profit that serves as a voice for dialogue organizations affiliated with Hizmet in the U.S. (also known as Gulen movement). The Alliance serves as a central source of information on Fethullah Gulen and Hizmet. For more information, please visitwww.afsv.org.